“Of the tree of the knowledge of good and evil thou shalt not eat of it: for in the day that thou eatest thereof thou shalt surely die”(Gen 2:17). While speaking to the serpent, the woman omitted some very important words from what the Lord had said. She said, “God hath said, Ye shall not eat of it, neither shall ye touch it lest ye die” (Gen 3:3). We find that the words ‘in the day’ & ‘surely’ are omitted. Though God had emphatically warned ‘thou shalt surely die’ she removed the emphasis by omitting ‘surely’. Moreover she added the words ‘neither shall ye touch it’. 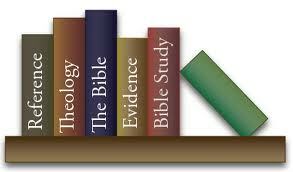 The Word of God is a fire; it is a hammer; it is a sharp two edged sword. Be careful while handling the Word of God. Seek wisdom from God to understand it. “Study to shew thyself approved unto God, a workman that needeth not to be ashamed, rightly dividing the word of truth” (II Tim 2:15). When we study God’s Word, our approach should be: “Lord, O don’t know anything; help me to understand.” It is not how much of God’s Word we read that matters, but how we read it – be it only a few verses. There are many truths in each verse; so make sure you understand what you read. Neglect of the Word of God or lack of knowledge of the Word of God will bring ruin to our life. God says, “Ye shall not add unto the word which I command you, neither shall ye diminish ought from it, that ye may keep the commandments of the Lord your God which I command you” (Deut 4.2). “But to this man will I look, even to, even to him … that trembleth at My word” (Isa 66:2).